Fun to think about the tooth fairy. I remember my confusion and then realization when I found the tooth the Tooth faith had taken, wrapped in a kleenex in the bathroom trash can. What a sweet story full of history and familiar family events and the strong and beautiful connection between grandmother and grand boy. That’s actually been one of the most beautiful part of our blended families: the blending of traditions. It’s tremendous to learn and live new ways to show our love. It’s a good and wonderful thing that some amazing teacher taught that brilliant tooth fairy how to read! Enjoy the reaction when he finds out just how smart the tooth fairy really is! Oh the drama of a 6 year old. Hoping the tooth fairy comes through for him. I loved your guest slicer today! It was so sweet! 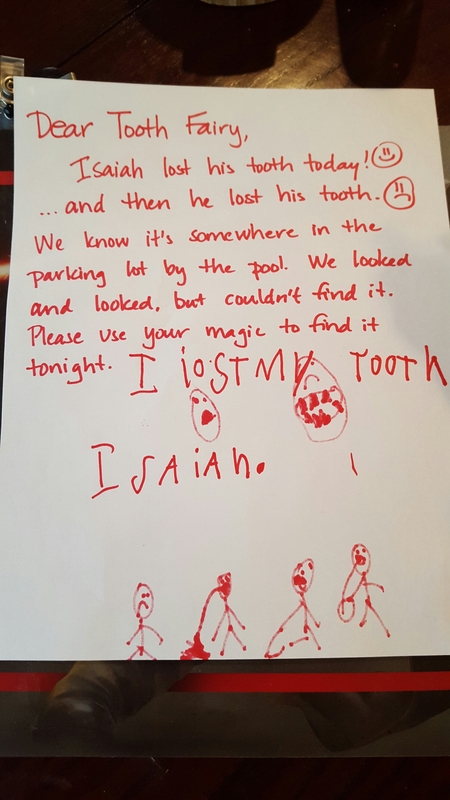 Glad he will learn how smart the tooth fairy is! !